"Very professional fast and thorough service. I didn't understand a couple of things....I called him and he patiently explained everything. Very much appreciated. Definitely recommend. -Janice R.
"Top Flight was outstanding. Kenny Eagle was at the home I am in contract on the next day. He went through every nook and cranny of that home and patiently answered all my questions. Purchasing a home is a fairly stressful process and these guys really put my mind at ease and helped take a load off my shoulders. I will definitely use their services again and would not hesitate to recommend them to friends and family." "Top Flight was outstanding. Kenny Eagle was at the home I am in contract on the next day. He went through every nook and cranny of that home and patiently answered all my questions. Purchasing a home is a fairly stressful process and these guys really put my mind at ease and helped take a load off my shoulders. I will definitely use their services again and would not hesitate to recommend them to friends and family." -Joshua D.
"I recently hired Top Flight Home Inspections for a residential home purchase. I have had a number of inspections on prior homes, but Greg's inspection was the best, by far, of all. The inspection was very thorough in all respects and Greg took the time to assist my wife and me in establishing priorities for negotiating with our sellers. The home inspection was money extremely well spent and was instrumental in finalizing the home purchase contract. I highly recommend Top Flight Home Inspections! The best I've ever seen!" "I recently hired Top Flight Home Inspections for a residential home purchase. I have had a number of inspections on prior homes, but Greg's inspection was the best, by far, of all. The inspection was very thorough in all respects and Greg took the time to assist my wife and me in establishing priorities for negotiating with our sellers. The home inspection was money extremely well spent and was instrumental in finalizing the home purchase contract. 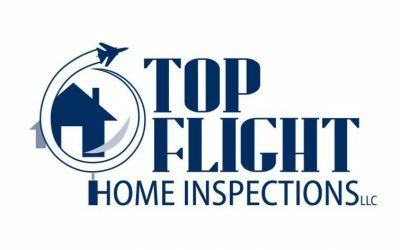 I highly recommend Top Flight Home Inspections! The best I've ever seen!" -Harry R.
"These guys know what they're doing. I honestly couldn't have asked for a better experience. I hung around for the entire inspection and asked tons of questions along the way, which they had no problem answering. They were very thorough covering every inch of the house. Their report was very detailed with plenty of pictures showing any issues. Don't hesitate choosing them, you won't be disappointed." "These guys know what they're doing. I honestly couldn't have asked for a better experience. I hung around for the entire inspection and asked tons of questions along the way, which they had no problem answering. They were very thorough covering every inch of the house. Their report was very detailed with plenty of pictures showing any issues. Don't hesitate choosing them, you won't be disappointed." - Zack H.
"Top Flight Home Inspections was highly recommended to me. They did not disappoint. I am very impressed with Greg’s knowledge, courtesy and professionalism. I appreciate his quick response on doing this thorough inspection. His turnaround providing me with the very detailed report including pictures was received within a timely basis. I appreciate his explanations that was written so that I, a layman, could understand. I will recommend Top Flight to my friends and if I am ever in the need for an inspector they will be my first call! I also would like to thank you, Greg, for your Military service!" "Top Flight Home Inspections was highly recommended to me. They did not disappoint. I am very impressed with Greg’s knowledge, courtesy and professionalism. I appreciate his quick response on doing this thorough inspection. His turnaround providing me with the very detailed report including pictures was received within a timely basis. I appreciate his explanations that was written so that I, a layman, could understand. I will recommend Top Flight to my friends and if I am ever in the need for an inspector they will be my first call! I also would like to thank you, Greg, for your Military service!" - Sue M.
"Very thorough inspection. The owner, Greg, did our inspection with the help of an assistant and they walked us through each portion. The set-up and payment processes were seamless and I was very impressed with the amount of communication that we received. I would definitely recommend Top Flight Home Inspections." "Very thorough inspection. The owner, Greg, did our inspection with the help of an assistant and they walked us through each portion. The set-up and payment processes were seamless and I was very impressed with the amount of communication that we received. I would definitely recommend Top Flight Home Inspections." -Jessica S.
"Professional, Thorough, and Knowledgeable. I would definitely use this business again." "Professional, Thorough, and Knowledgeable. I would definitely use this business again." -Sharon H.
"Greg was quick to respond when we asked him to do a home inspection. Top Flight Home Inspections have competitive prices compared to other companies. Greg was also very thorough when looking at our future home!" "Greg was quick to respond when we asked him to do a home inspection. Top Flight Home Inspections have competitive prices compared to other companies. Greg was also very thorough when looking at our future home!" -Ethan R.
We proudly service all of Central Ohio and the surrounding counties. 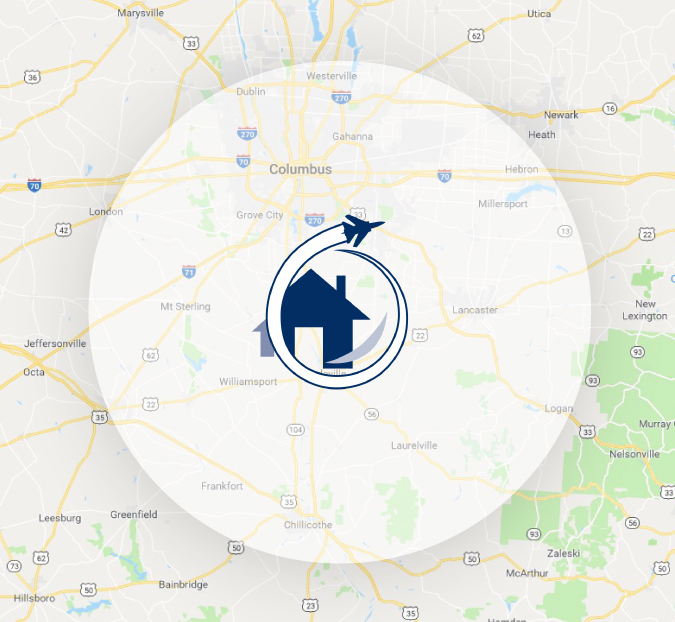 Our frequent service area is listed below but if you’re out of our normal range and still want a home inspection, we may still be open to arranging an inspection so please contact us! Recent blog posts, tips and tricks from lead home inspector Greg Bryant! Ready for an inspection or have any questions? Contact Top Flight Home Inspections Today! I'm ready to schedule a home inspection!